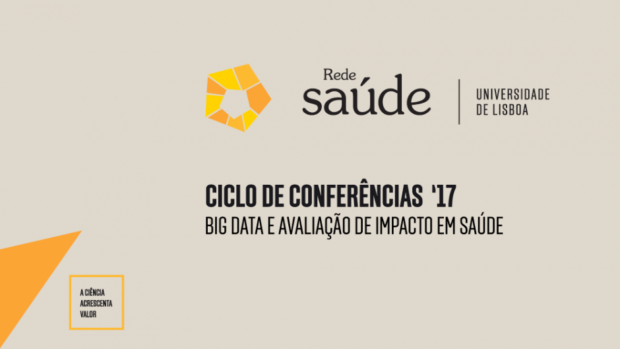 On 6 February, the Health Interdisciplinary Thematic Network (redeSAÚDE) of the University of Lisbon (UL) organized the monthly conference on “Big Data and Health Impact Assessment” at the Institute of Geography and Spatial Planning of the University of Lisbon. The session was attended by Professors António Vaz Carneiro (Centre for Evidence-Based Studies of the Faculty of Medicine of the University of Lisbon), Alexandre Francisco (INESC – Institute of Systems and Computer Engineering), Paulo Morgado (Centre for Geographical Studies of the University of Lisbon) and Doctor Rui Portugal (Directorate General of Health). The conference was moderated by Professor Eduarda Marques da Costa (IGOT). Participants were also invited to “exchange knowledge, engage in academic discussion and strengthen the interconnection between scientific and technological knowledge”. “The library now has another function,” said Professor António Vaz Carneiro, Librarian Professor of the FMUL. In an interview with Just News, published in the latest edition of LIVE Medicina Interna, and speaking about his experience as a librarian, Professor António Vaz Carneiro was asked about what has changed regarding the concept of library in recent years.